How you shape your fingernails can be as personal as how you style your hair. You have a certain preference and there are probably certain styles that will flatter the shape of your face more than other styles. The same is true of fingernails. Your fingers and fingernails have a unique shape and there is likely a certain fingernail shape that would look best with the shape of your fingers and fingernails. Here are some general guidelines for figuring out what fingernail shape would look best on your fingers. Look at your hands and fingernails from above. Notice the shape of your nail base (the bottom of your fingernail). The shape of your nail base can be an important factor for deciding how to shape your fingernails. Often the shape of one's fingernail tip looks best if it mirrors the shape of the nail base. Decide whether you would like a round shape, a square shape or a natural shape for your fingernails. 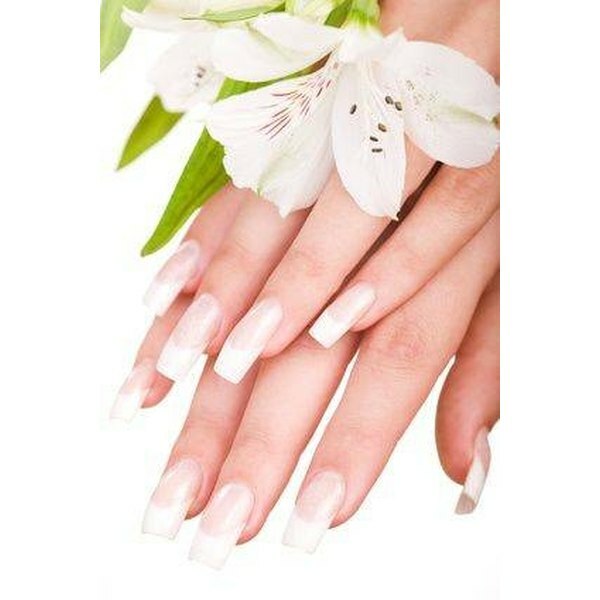 Shape your fingernails in a natural shape if this is what appeals to you. To do this, trim all your fingernails to an even length. This length should be that of the shortest fingernail you have. Trim each fingernail across. Make a very small snip on each fingernail edge. File carefully after trimming. Shape your fingernails in a round shape if this is what appeals to you. File your fingernails inward on both edges of your fingernail to make the fingernail into a rounded shape. Shape your fingernails in a square shape if this is what appeals to you. File your fingernails to carefully create a straight line across the entire fingernail tip. This technique takes very small filing motions to achieve the straight line.